This was actually leaked back in November last year which I reported on and the leaked images certainly match up to Valve's teaser of the Index above. So all we really know right now is the name and either more information or an actual release will be in May. Still, it's quite exciting! Hopefully the Linux experience will be good, although considering all the work Valve has put in and contracted people to work on various parts of Linux by the time it releases we might see reasonable out of the box support. The one thing I am still concerned about is price, as the HTC Vive, the only currently official SteamVR headset, is still around £500 and likely out of reach for many people (myself included). Hopefully the Valve Index will see a lower price for more to jump in and experience it. Quote The one thing I am still concerned about is price, as the HTC Vive, the only currently official SteamVR headset, is still around £500 and likely out of reach for many people (myself included). 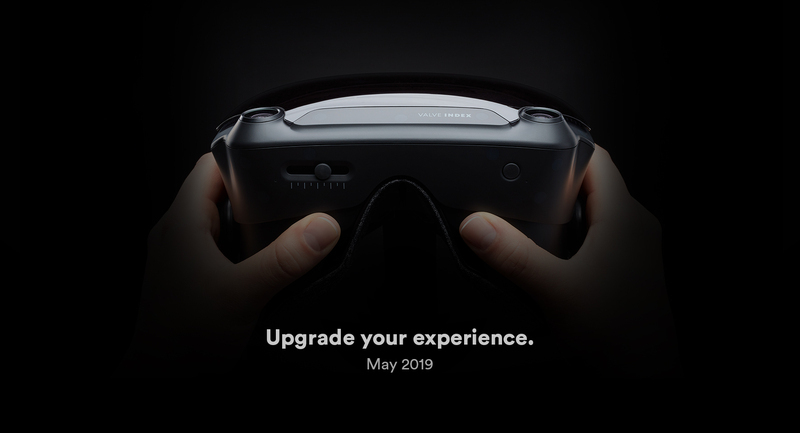 I have a feeling the price is being set by HTC, that have decided to mostly target the "Proffesional" markets with them and it's one of the reasons Valve are making this headset. SteamVR won't be able to compete with Occulus if it's headsets cost 2x. So I expect these will be priced better than the HTC stuff. Not that I normally go quite off topic like this, but I see the photo and just think: is someone trying to eat a burger/sandwhich? Upgrade your experience, only 50c extra for a side of chips. So are they still partnering with HTC ? Will they keep distributing all those headsets ? aokami So are they still partnering with HTC ? Well, the Vive/Pro was the only SteamVR headset anyway. We've no idea if HTC will continue doing it, we know basically nothing at this point. If the Index costs less and is at least as good as the Vive, is there any need? HTC is completely out. They are doing their own thing (Vive Pro Eye and Viveport). Valve produces those HMDs in-house. Well, hopefully it's gonna be cheap, with Steam they can make money later with people buying VR games. VR needs to be more common to flourish, so it wouldnt make sense to keep it expensive hobby. Price of admission will go down with every VR generation. Solitary Well, hopefully it's gonna be cheap, with Steam they can make money later with people buying VR games. VR needs to be more common to flourish, so it wouldnt make sense to keep it expensive hobby. Price of admission will go down with every VR generation. They are still facing a lot of publishers switching to Epic store. So money might not be so great lately. I wish them luck but I still have not seen any value to this form of gaming. Maybe because the only genres I play have zero use for VR.